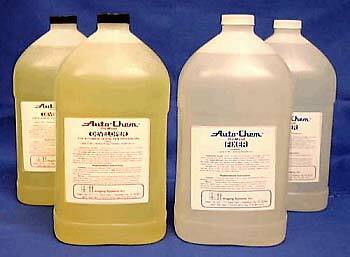 AUTOCHEMÂ® "MEDICAL" CHEMISTRY FOR ALL DENTAL AUTOMATIC PROCESSORS! Only previously available in hospitals and X-ray clinics. Reduce your exposure time while increasing your radiographic clarity and resolution with the strongest, cleanest and most consist chemistry available at a price that is typically lower than the "dental" brands.